We are a management and entertainment company that brings the best talent to the DC, MD, and VA Area. We have R&B, Hip-Hop, Spoken Word artists and a Master Sommelier available for hosting and performances. As well as, DJs who can make your party or private function a huge success. Be on the lookout for our talented professionals in your area. 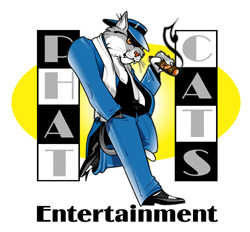 Copyright © 2019 Phat Cats Entertainment 2015. All rights reserved.